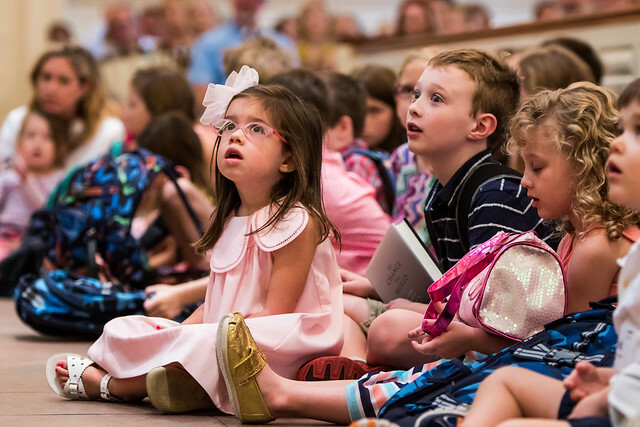 We believe that children are not just the future of the church, but they are the church now. PHPC Kids creates an environment where children know they are loved just the way they are and to equip them to know, grow and shine the light of God! This is a place for all children to discover their gifts, talents, and the Spirit through the study of Jesus Christ. Children are always welcome in worship, but we do have professional child care available for all children infant through 5 years old. Child care is provided on Sundays during worship and during other programs, as needed. Our nursery is professionally staffed with at least two child care attendants that have been background checked and trained in our Child Care Protective Policy. - Provides the assurance that all children can be identified and located, especially in the case of an emergency. - Offers confidence in matching guardians with children upon pickup. - Makes known allergies of each child. - Offers an accurate record of attendance in classes, activities, or events. - Instantly provides name badges to children and visitor badges to guests. This software system significantly enhances the security and safety of our beloved children. All PHPC Kids Volunteers are required to be background checked and go through our Child Protection Policy training. In addition, all Sunday School teachers must attend additional training. PHPC offers a warm and nurturing program that is designed to create excitement in learning about our Christian faith and we are called to be disciples. Participants ages 3 years through 6th grade explore the Bible, stories and Christian beliefs through hands-on activities, storytelling and mission opportunities. Preschoolers spend the morning in their classrooms, getting to know one another, their teachers, and God through stories and play. Grades 1-4 will first gather in Founders Hall for a short video and fellowship before breaking into grade-level classrooms for discussion. Grades 5-6 will meet in their lounge, designed just for them, for an introduction to their lesson before splitting into discussion groups. Ann Nielsen, Director of Children's Ministries, has compiled a list of suggested books that will enhance your child's enjoyment of their faith, as well as books for parents raising their children at PHPC. Route 56 is a fellowship opportunity for 5th and 6th graders at PHPC that meets from September to May. Our learning community is also strengthened by family fellowship events and opportunities to connect our faith to specific acts of service in the church and community. Grace, Gratitude and Grub, Advent Celebration, Easter Egg Hunt, Family Mission Night. Would you like to receive our weekly communications? Please email Veronica Smoot at to be added to the list.